When it comes to running shoes, we all know what we want. We want a pair that’s lightweight, offers good cushioning and support, and a comfortable fit. While we all know what makes an ideal pair of running shoes, shopping for them is never a simple matter. We have the dozens of different brand and styles to thank for that. 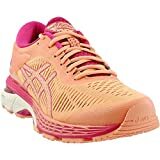 If you’re in the market for the best women’s running shoes but is overwhelmed with the choices that are available, you’ve to the right place. It’s not an easy task but we have shortlisted some of the best running shoes for women. 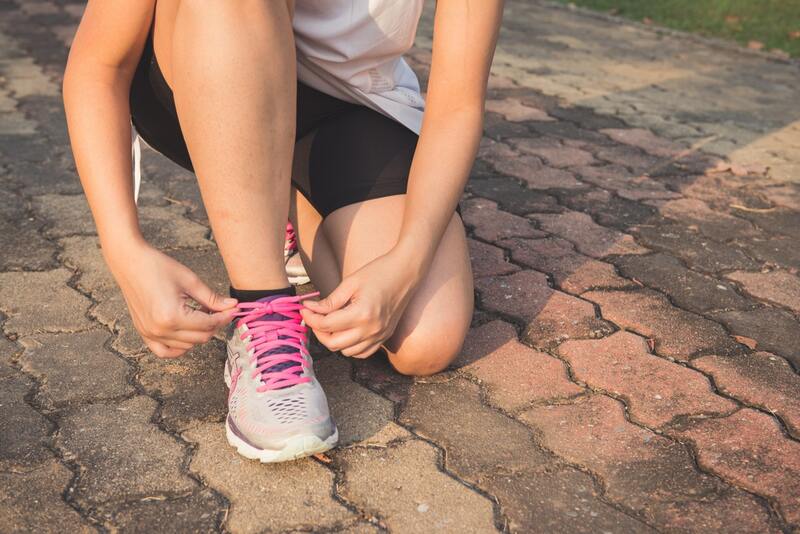 Before we proceed with our personal recommendations, it’s important that you know the factors that make a good pair of running shoes. Read these tips before heading to your favorite gear shop. The best way to find out your running style is to check the wear pattern on your old pairs. For example, if the wear pattern is centralized around the ball of the foot and a small portion of the heel, you are doing a pronation (neutral) running pattern. Overpronation happens when the patterns are found along the inside edge of the shoe. Supination is when the wear pattern is found along the outer edge of the shoe. The shape of your feet will also dictate the best pair for the job. There are three main foot types: flat, neutral, and high arches. Being flat footed tends to have fallen arches and prone to overpronation. Neutral feet are the most biomechanically sound. High-arched feet are basically the opposite of being flat-footed. For running shoes, there are three main types: road running, trail running, and cross training shoes. Road-running shoes are designed for running on pavement and the occasional forays onto surfaces with irregularities. These pairs are usually light and flexible, and they’re made to cushion the feet while running no hard surfaces. 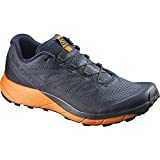 Trail-running shoes are for off-road trails with roots, mud, rocks, and other obstacles. They feature aggressive treading for reliable traction and fortified for stability and support. Cross-training pairs are worn for working out in the gym or during Crossfit workouts or any other activity that requires balance. When looking at a pair of running shoes, you need to consider its features. For example, the upper pertains to the material of the shoes. There are synthetic leather pairs that are lighter and more breathable than real leather. There is also the nylon and nylon mesh that are used to minimize weight and enhance breathability. The midsoles are also worth considering since they add the much-needed cushioning and stability while running. The most common type of midsole is EVA (ethylene vinyl acetate) and TPU. As a golden rule, it’s always best to try out a pair in person. We can’t really stress this enough. Head over to your favorite running shop with qualified experts that can help identify your needs as a runner. There is no shortage of local stores that will help guide you through the process. This is especially true if it’s your first time running or you’re looking to change up your running style. If you are open to recommendations, here are the best running shoe line-up for 2018. The Asics brand has always been synonymous with quality high-performance running shoes. The ASICS Gel-Kayano 25 is no exception. The Gel-Kayano series has always been considered a classic so it’s no surprise that the 25th update remains one of the best pairs for 2018. The Gel-Kayano 25 actually sleeker and more responsive than its predecessors. The proprietary FlyteFoam Lyte technology adds the much-needed stability. There’s also the FlyteFoam Propel which helps with shock absorption and makes for a bouncier run. In terms of comfort, the Gel-Kayano 25 doesn’t disappoint, thanks to the 45 degree full length SpevaFoam™ 45. The Gel-Kayano 25 is jam-packed with features that will put to shame most pairs in the same category. However, Asics still did a good job of making it lightweight. Personally, I don’t really like both 23 and 24 in terms of style and fit, so I must say that 25 is Asics’ return to form. The Saucony Ride 10 is a very popular shoe and it makes sense. The Ride series is Saucony’s flagship for the neutral trainer. The Ride 10 strikes the right balance between cushioning and sleek design. This is great for any runner who’s going the distance but without the added bulk. The mesh upper will keep your feet cool. The woven heel piece is locked in place in the foot so there’s no unwanted rubbing. The Ride 10 is all about the cushioning and it’s very evident out of the box. During my first run, the Ride 10 worked great for dialing up the speed. I imagine that the amount of cushioning should be great for almost any run. There’s also the Power Foam and Everun topsole technologies that are specifically designed to increase the pair’s energy return. In terms of comfort, I am happy to report that this pair doesn’t need to be broken in. It is immediately comfortable out of the box. I just wish that the traction is better. Otherwise, this is a pair that you don’t want to miss, especially at this price point. Get lost in your thoughts with a smooth and well-cushioned ride in the Brooks Ghost 10. The Brooks Ghost 10 is the brand’s main neutral offering and it’s the biggest seller as well. There’s a reason or two why runners keep going back to this pair, year after year. Personally, the main draw of the Ghost 10 is its looks. Out of the box, these running shoes are just visually appealing. The Black/Pink Peacock colorway is just beautiful. The pair looks subdued but still manages to be flashy. The pair features a 12mm heel-toe drop which is basically the same as last year. The pair utilizes the BioMoGo DNA foam which does a great cushioning job and might be one of my favorite foams of all time. The energy return in this foam is just great and makes running a lot comfortable in any distances. The pair is so responsive and cushioned that double-digit runs become a non-issue. This is how you do neutral trainers. Whether you’re looking for a pair for your morning runs or training for your first 50k, the Ghost 10 is worth the look. If you are someone who likes the springy Boost foam of Adidas, the Adidas Solar Boost might just be your next pair of running shoes. In case you don’t know, the Solar Boost features the same cushioned midsole that’s found in the very popular Ultra Boost. However, the difference is that the support has been improved in the upper through the midfoot. This is all made possible without adding too much weight to the footwear. The Techfit upper is designed to provide natural, flexible support and a seamless, sock-like fit. This springy, lightweight profile really helps when you are running in a harsh pavement. If you are used to the Ultra Boost, you’ll find that the Solar Boost feels lighter but still quite stable. In terms of looks, this a good-looking pair. On top of being a solid shoe for running, it can work great as a lifestyle pair. If you like Adidas or just want a springy pair of running shoes, the Solar Boost comes highly recommended. The Salomon Sense Ride borrows from the S-Lab line. This pair offers the same excellent versatility without the expensive price tag. This pair is ideal if you’re an avid trail runner. Only weighing about 8.8 ounces, the shoe features a 27mm heel stack which means that there’s ample protection here without adding too much weight or bulk. 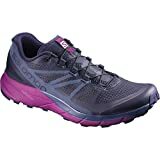 These shoes also have a quick-lace system for those who hate fighting with undone laces while on the trail. The upper is made of breathable mesh that will help keep your feet cool and prevent blisters. The shoe can handle pretty much anything that you throw at it. It has proper cushioning and offers a good response. Everything about this pair is optimal and there’s nothing superfluous about it. If there’s something that could be improved, it’s by adding extra forefoot cushioning and a wider heel platform. The Salomon Sense Ride is a solid daily trail runner that will serve you well in all conditions. The Inov-8 X-Talon 212 is definitely a very flashy pair. If you are not a fan of loud colors and designs, then this pair is not for you. Personally, I think this pair is a true neck breaker. However, it’s not all about the looks. These shoes are very flexible and you can literally wring it out like a wet towel. Couple that with the ultra sticky sole and you’ve got yourself a solid pair of off-trail running shoes. X-TALON outsole does a great job of giving stability while the deep cleats provide the much-needed traction. The X-Talon 212 is also an excellent for climb runs due to its excellent traction. The pair is also light enough for climbing up rocks and clip on to a harness. Even if it’s wet or muddy, these shoes will still give you optimal training performance. The fit is perfect and there’s no need to break in. Truly, an excellent pair for off-trail running. We wrap up our list with something for the minimalist runner. The Merrell Vapor Glove 2 is one of best minimalist running shoes that you can get. The original Vapor Glove was the benchmark for minimalist shoes when it was released. Somehow, Merrell managed to improve the Vapor Glove with its second iteration. The Vapor Glove 2’s sole is smooth enough for running in the road but still has enough traction for the trail. Being a minimalist pair, the flexibility is on point. The shoes can be squeezed in all directions like a thick tortilla. Both the inside and outside of shoes are reinforced for extra durability. Overall, this is an amazing pair that will impress even the most jaded minimalist runner. There you have it, our list of the best women’s running shoes that money can buy. Trust us, choosing the best pair for running is no easy task. Hopefully, this article has made it easier for you to purchase your next running companion. What do you think of this list? Did you manage to find a suitable pair of running shoes? We’d love to hear your thoughts through the comments section.